I recently attended Globe Telecom and the Department of Tourism’s (DoT) joint Press conference lunch for traditional and social media guests at Ilustrado Restaurant in Intramuros, Manila. 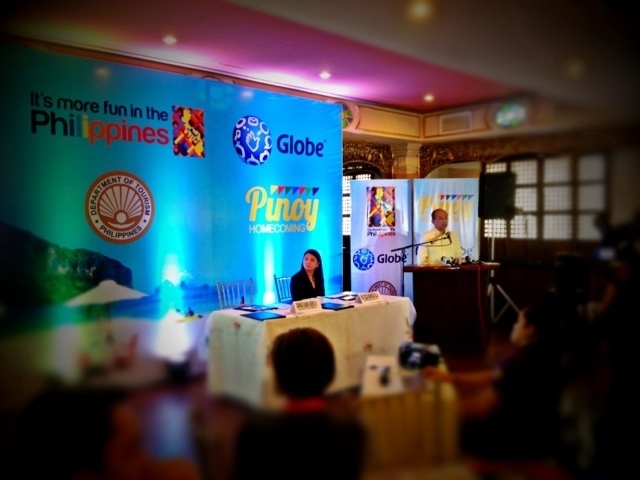 This joint Press conference is to announce the partnership between Globe Telecom and DoT for the “It’s More fun in the Philippines” and “Pinoy Homecoming” campaigns. 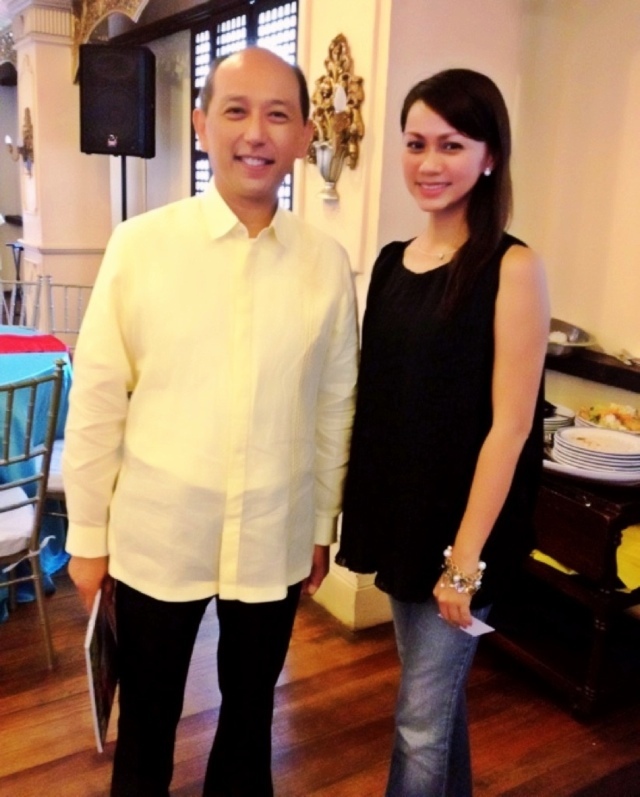 This partnership was recently forged to boost tourism and increase revenues in the country. The target – to improve the current count of 4.6 million tourist arrivals to a whopping 10 million by 2016. Their planned campaigns are designed to attract Filipinos who are working and living abroad to discover and re-discover the beauty of our home country and ultimately encourage them to come… to truly know why it is more fun in the Philippines! Likewise, Globe will reinforce network infrastructures all over the country particularly around popular Philippine vacation spots so tourists can easily go online to post pics, tweet, blog and more on-the-fly – to showcase and promote our wonderful sights and sounds. The official signing of Sponsorship Agreement between Globe Telecom (Ms. Rizza Maniego-Eala) and DoT (ASec. 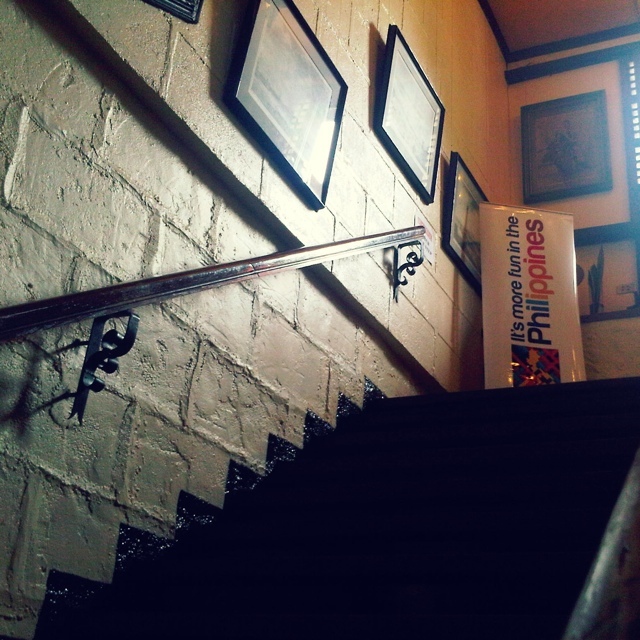 Domingo Enerio III) for the “It’s More fun in the Philippines” and the Pinoy Homecoming campaigns. To view the entries, please click this link: www.facebook.com/globeph. Globe has also partnered with the Manila International Airport Authority (MIAA) for free WiFi service at all terminals of the Ninoy Aquino International Airport and the Manila Domestic Air Terminal. 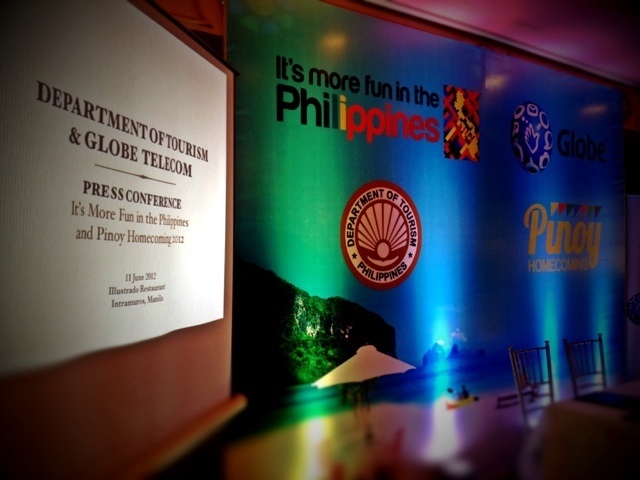 Apart from Globe Telecom, DoT’s strategic partners include Philippine Airlines, Balikbayan Magazine, Western Union, Tour Operators, PTAA and other various hotels and resorts. 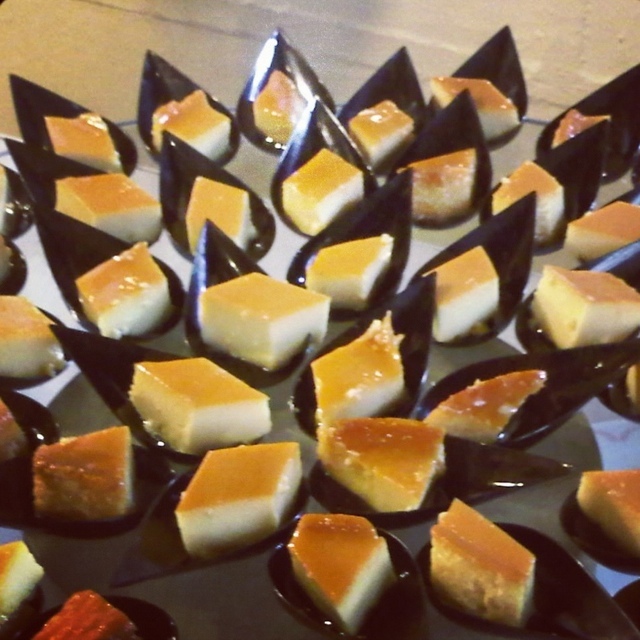 Guests who attended the event were treated to a sumptuous lunch! 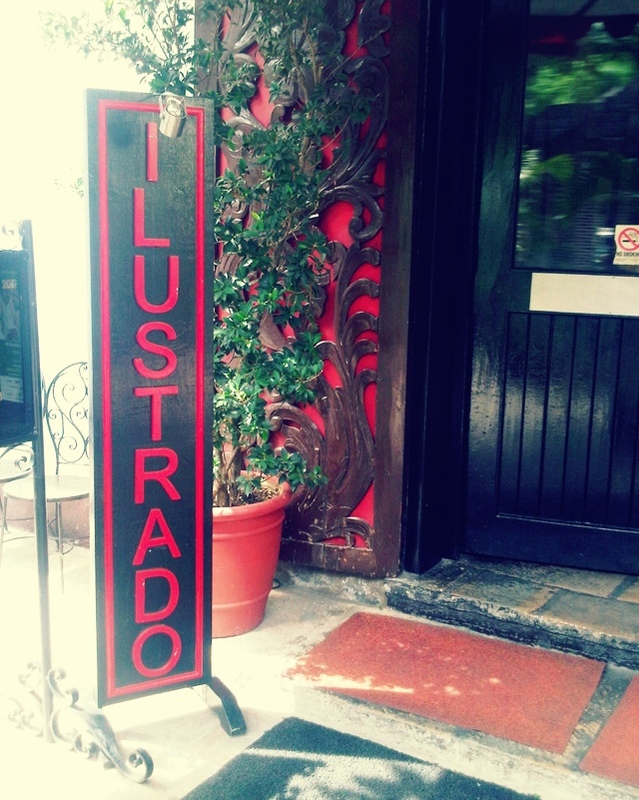 Since it was a pre-Independence Day launch, Ilustrado restaurant prepared some local fares. 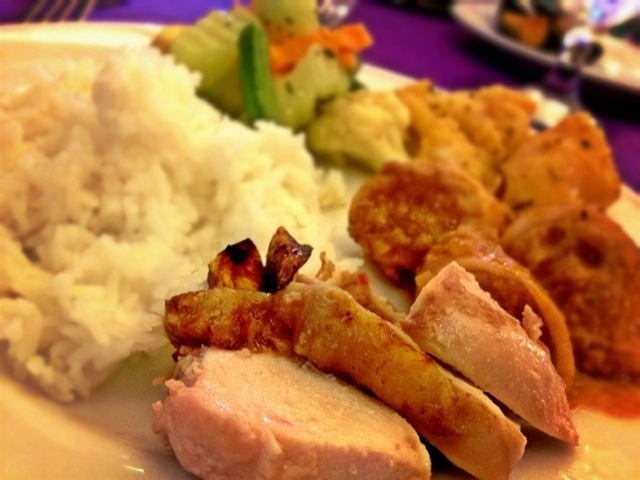 Rellenong Manok ni Joseling – stuffed with ground meat and raisins and was seasoned perfectly. It was delicious! This ref magnet was included in the press kit. Another addition to my collection from various local travels. 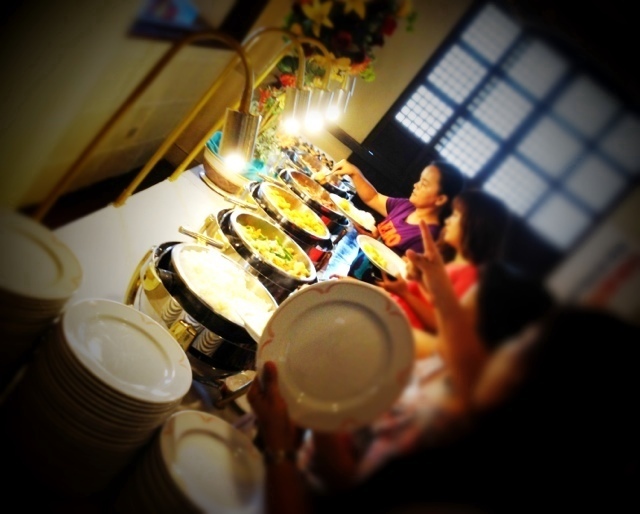 Promote #itsmorefuninthephilippines as THE BYWORD among filipino communities and households. For those who haven’t seen DoT’s “It’s More Fun In The Philippines” official campaign video as seen in international channels such as CNN, you can watch it below. Enjoy!